This entry was posted in Artschmart Broad Moments Chatty Cathy Culture Vulture Curious George Google School Karma Row Psychically-Speaking and tagged Janine Antoni Mona Hatoum on December 22, 2013 by janeharr. In honor of Winter Solstice…make of it what you will! I love this the quote, and when I thought of coupling it with an image, Mona Hatoum popped into my head! 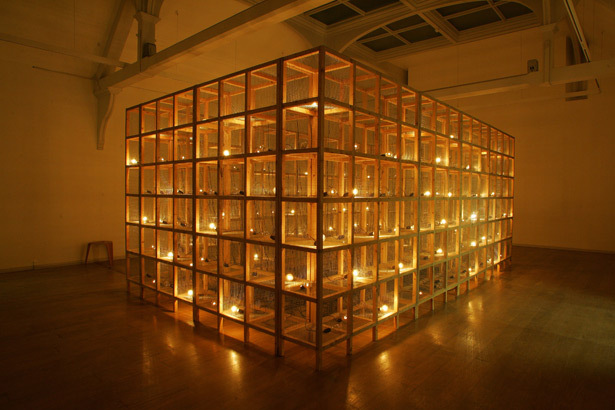 (I fell in love with Hatoum’s work at her New Museum solo in 1998). Its a pairing that yields a lot of pondering and tension – perfect for the longest night of the year! Read more about it here.